Anger Management - Moral Reconation Therapy - MRT® distributed exclusively by Correctional Counseling, Inc.Moral Reconation Therapy – MRT® distributed exclusively by Correctional Counseling, Inc. Anger Management - Moral Reconation Therapy - MRT® distributed exclusively by Correctional Counseling, Inc. 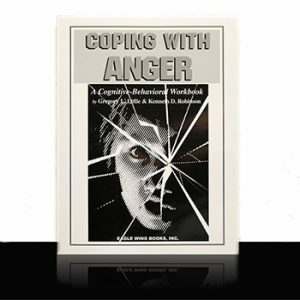 The anger management program, Coping with Anger, is designed to help clients recognize, overcome, and control anger. The program is appropriate for both youth and adults. 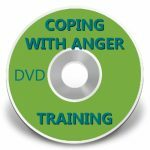 Coping with Angerdoes not require Moral Reconation Therapy – MRT® training. Materials available for this program include: a client workbook, facilitator’s guide, and various supplemental materials. The program and materials can be used in a variety of settings, including substance abuse, hospitals, in-patient, criminal justice, and elsewhere. This cognitive behavioral program materials for both youth and adults include psycho-education, conflict resolution, pro-social skill building, and commitment to change. The anger management workbook has eight modules, which can be completed in eight to 10 group sessions. Clients complete homework for each module prior to coming to the group session. During group time, clients present their homework to the group, and the facilitator then passes the client to the next module — or the facilitator directs the client to redo the homework based on objective criteria. The anger management groups are open-ended, meaning that new clients can enter an ongoing group at any time. Each group session usually has new clients as well as some finishing the program. The workbook is individualized to specific client needs by requirements to meet with the facilitator or counselor at several modules. MRT training is not required for the anger management programming. 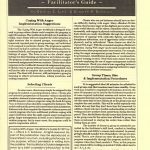 The facilitator’s guide gives basic instructions and explains the criteria used for each module. An optional training DVD is also available. We also offer a complete Starter Kit, Spanish workbook, and Audio CD.